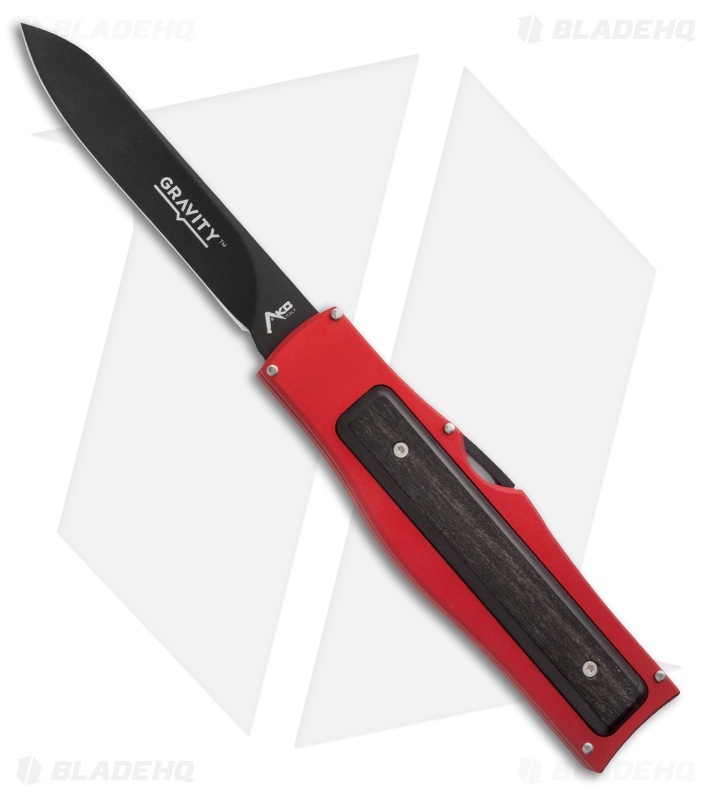 This AKC Gravit-E model has a black finished blade and a red aluminum handle with an ebony wood inlay on either side. An innovative compression release lever allows the spear point blade to slide in or out of the aluminum handle, for fast opening and closing. 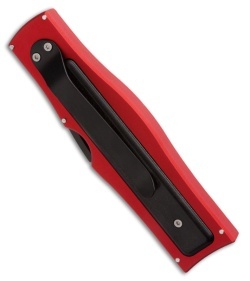 A convenient stainless steel pocket clip provides easy access to the knife at all times. AKC makes handcrafted Italian knives using traditional knife-making techniques.